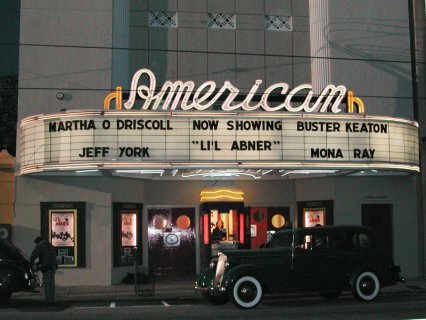 Opened in 1942 as Charleston's premier movie house, the American Theater's regal Art Deco architecture and timeless Hollywood glamour make this sophisticated event venue worthy of red carpets and dazzling marquees. It’s no surprise that one of the country’s most beloved and historic cities is home to an Art Deco gem like The American Theater. Today, this stylish event venue on Upper King Street sets the stage for life's greatest scenes, from weddings and dinner receptions to business seminars and corporate retreats. Entertain a crowd beneath the handmade milk-glass chandeliers of the grand ballroom, or treat your guests to a private film sceening inside our quintessential, stadium-seat cinema. A picture-perfect location in the heart of Downtown Charleston’s fashionable Upper King Street Design District, the American Theater stands proudly between its sister properties, Fish Restaurant and The William Aiken House. An array of hotels, restaurants and charming shops are within walking distance. The American Theater showcases 8, 000 square feet of event space that features a grand ballroom with expansive main stage, as well as a state-of-the-art cinema with stadium seating ideal for corporate meetings and presentations. The spacious lobby offers concessions and ample room for pre-event festivities or registration. Guests can also gather inside the intimate Stars Lounge, enjoying refreshements and cocktails at the dedicated bar.